One of the largest and longest running projects at Bank Street Arts epitomised the approach of the organisation. In brief, the project was a collaboration between Bank Street Arts and historian and academic, Karen Harvey, who joined our Residency Programme in 2011.
to use the historical research as the basis for other collaborations. In the end, the Residency probably terminated with the departure of Creative Director John Clark from BSA and Karen Harvey’s move from Sheffield to Birmingham University as Professor of Cultural History but not before the Residency had involved numerous MA students working on historical research, produced a book on the history of the buildings, spawned numerous spin off exhibitions, workshops and publications. The project was typical of how BSA initiatives tended to begin as one thing and metamorphose and grow as projects gathered speed and were allowed to dictate their own trajectory and momentum. 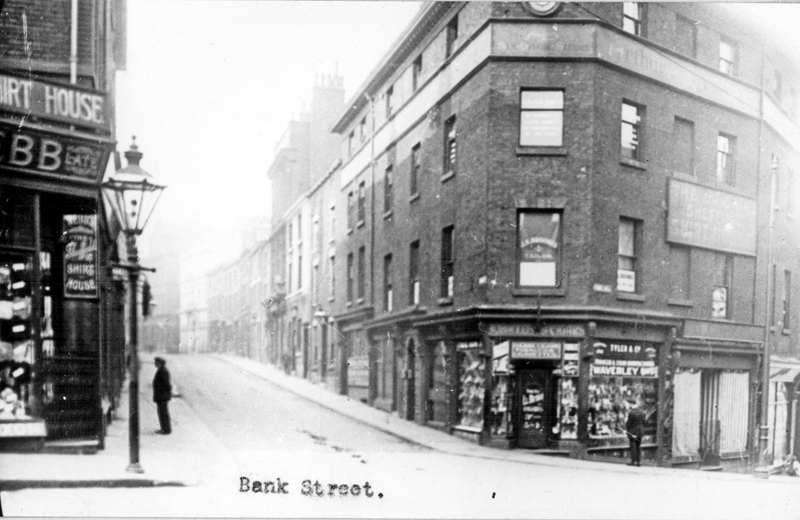 In the History Menu at the top of the page you can find links to a pdf version of the printed book, a spreadsheet showing all known inhabitants of the Bank Street buildings as well as numerous other documents and web pages that made up the project.